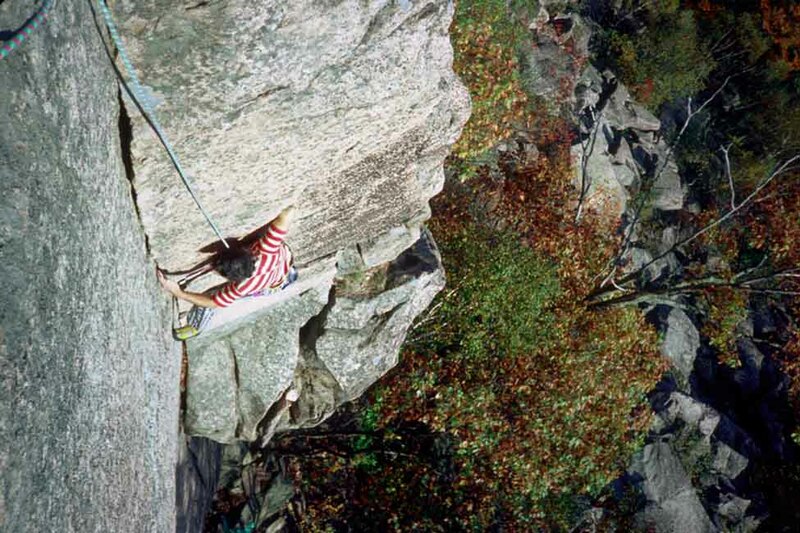 The only true sea cliff climbing in the United States is found here, at Otter Cliffs and Great Head. There is an almost impossible to describe excitement to climbing above the spray and foam of the ocean. Look over your shoulder and scan the domed mountains curving down to the frothy coast and beyond to the lobster boats chugging along their daily rounds to the pots buoyed just a hundred feet shore from where your fingers crank on clean, dark gray, orange and white stone. This is what climbing in Acadia is all about. 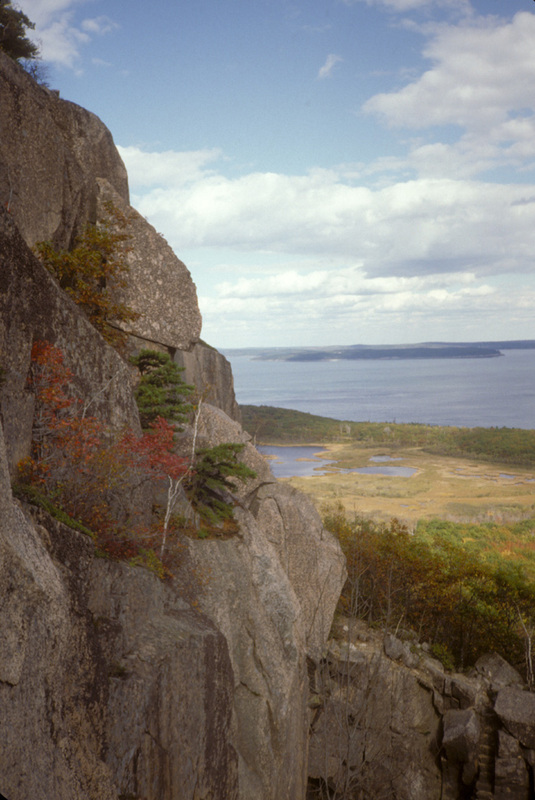 In addition to the sea cliff climbing, Acadia also boasts the Precipice, a stellar cliff face of impeccable pink and gray granite that is home to terrific collection of classic multi-pitch routes. Mt. 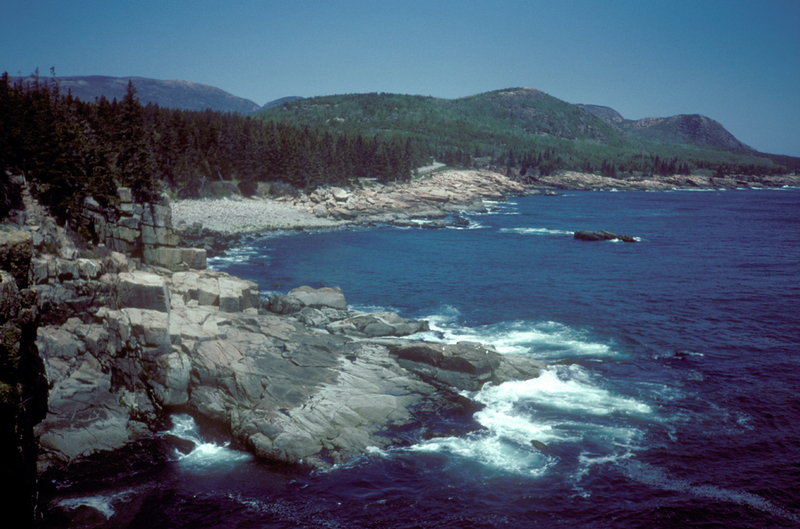 Desert Island, which hosts Acadia National Park, sits on the rugged and featureful coastline of Maine. It is a storybook land. Large fir trees stand along rocky, granite shores with frequent cliffs rising out of the blue Atlantic ocean.